Because what occurs after your LASIK surgery can affect your vision just as much as the procedure itself, it is very important to know what you should expect after LASIK. What you should do after LASIK? And what you should avoid after LASIK? After your LASIK procedure, your surgeon will give you oral and written instructions about the early post-LASIK period. To have a better outcome after your LASIK surgery, you should follow your doctor’s instructions. Let’s now highlight the general instructions you should follow after your LASIK surgery and explain their importance. The best thing to do immediately after LASIK is to go home and rest as much as possible for the remainder of the day. Try to sleep the first few hours because keeping your eyes closed speed your recovery and help reduce discomfort. If you can’t sleep, rest with your eyes closed as much as possible for the first few hours. Combined antibiotics-steroids eye drops to prevent infection and control inflammation. Preservative free artificial tears eye drops to lubricate the LASIK flap and reduce irritation. Frequent use of artificial tears eye drops is recommended for the first 3 months after LASIK, because the tears secretion after LASIK surgery. To decrease the risk of LASIK complications such as infection and displaced flap, don’t forget to follow your doctor’s instructions on how to properly instill eye drops after LASIK. Since the LASIK flap is not sutured, if you rub or touch your eyes, the LASIK flap may become dislodged, requiring repositioning and further treatment. 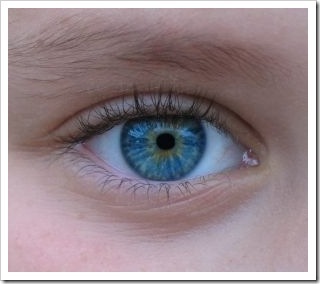 In addition, touching your eyes can transmit contaminants to your eyes, increasing the risk of infection. To prevent accidentally rubbing or poking your eyes while sleeping, wear a protective shield over your eyes for the first three nights after your LASIK procedure. These eye shields come in various designs and are usually given to you by your doctor. To help your cornea heal and protect your eyes from exposure to bright light which may irritate your eyes, wear dark sunglasses during day after your LASIK surgery. You may be able to return to work the day following your LASIK procedure, but if possible, take a couple of days off work until the post-LASIK symptoms get better. When you can resume a certain activity after LASIK surgery will depend on the amount of activity required, how you feel, and your doctor's instructions. One day after your LASIK surgery, you can read, watch TV and work on the computer in moderation. It is important to keep your eyes moisturized with artificial tears eye drops during these activities. Two to three days after your LASIK procedure, you can resume Non-contact sports such as running, golf, etc., if you feel capable. Wear a headband to keep sweat out of your eyes. Strenuous or contact sports such as boxing, football, karate, etc. 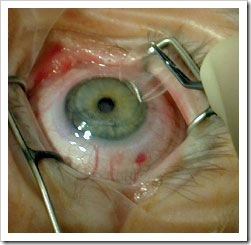 should not be attempted for at least one month after your LASIK surgery. However in the first few weeks after your LASIK procedure, if there is any risk that you might take a direct blow to the eye (e.g., racquet sports), you should wear protective eyewear (e.g., protective goggles). Your surgeon will warn you not to drive for a certain period after your LASIK procedure. This period can vary depending on how your eyes are healing. Most LASIK patients are allowed to drive 2-3 days after the procedure, but only for short periods of time. It is strongly recommend that you buy new eye make-up, particularly mascara, eye liner and eye shadow, to avoid possible infection after your LASIK treatment. To reduce the risk of infection from contaminated water, you should stay out of swimming pools for at least 2 weeks following your LASIK procedure, and rivers, lakes, hot tubs, sea and oceans for one month after your LASIK treatment. You may take showers and baths after your LASIK procedure, but try to keep your eyes closed to prevent the water, soap or shampoo from getting in your eyes. Be careful not to allow the water to strike your face directly for at least one week after your LASIK surgery. When drying off, use a face cloth and avoid rubbing your eyes. Follow up after LASIK surgery is as important as the actual procedure. Your doctor should examine your eyes the day following your LASIK procedure. This is important to make sure that the flap has remained in proper position and no evidence of infection or inflammation is present. In the absence of complications, your next appointments are usually 1 week, 1 month, 3 months, 6 months, and 1 year after LASIK surgery. Keeping your follow up appointments are critical to assess the healing of your eyes and the stability of your vision. After your LASIK procedure, you should expect some common symptoms such as burning and tearing, foreign body sensation, sensitivity to light, and discomfort. These symptoms should get better within 2-3 days after LASIK surgery. If your symptoms get worse or if you suspect a problem, you should contact your surgeon immediately and not wait for your scheduled visit.